The team at Northside Animal Hospital is comprised of highly trained and experienced animal health professionals who have a genuine love for working with pets. Our staff treats every patient with the highest quality of medical care as well as a gentle touch. Dr. Sevelius graduated with BBA in Accounting from the University of Miami in 1967. From there he proudly served in the US Army from 1967-1970, where he served in Vietnam and was wounded in combat and received the Purple Heart and was awarded the Bronze Star with V for valor. While working with a scout dog in Vietnam, the scout dog gave his life in order to save Dr. Sevelius’. From his experience in working with the scout dog Dr. Sevelius, knew he wanted to spend his life aiding animals. When Dr. Sevelius, returned home for surgery at Hunter Army Airfield, he began his recovery process and attended the University of Florida for 2 years of pre-med requirements and then was accepted into the Auburn University Veterinary Program from which he graduated in 1975. After graduating he moved to Jacksonville, FL, in 1975. In 1979, he acquired Northside Animal Hospital where he has practiced medicine ever since. When he is afforded the opportunity he enjoys going on mission trips to Honduras and the Philippines where he cares for all of God’s creatures, great and small. Dr. Branch, a graduate of Kansas State University, is passionate about his profession. Having grown up in the country with a variety of pets from dogs to horses, Dr. 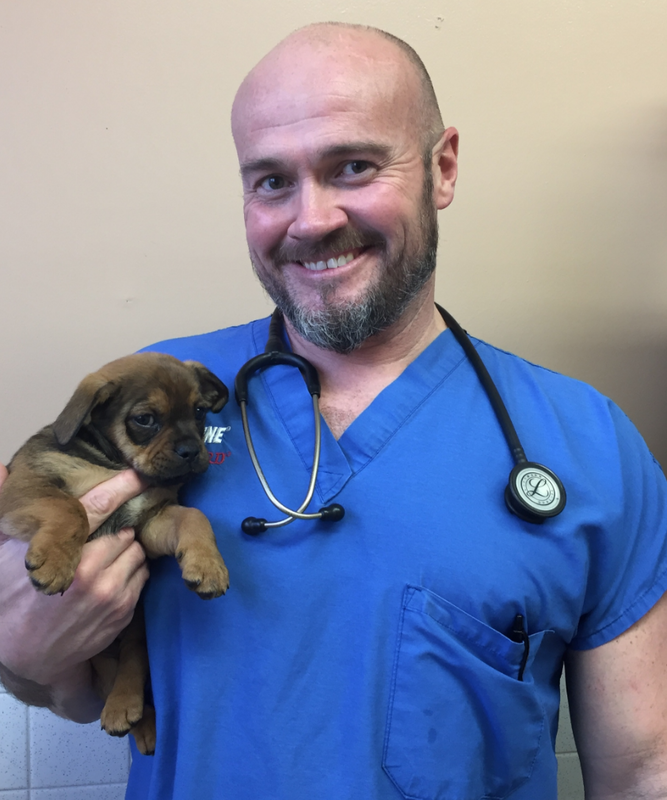 Branch is most interested in combining conventional veterinary medicine and realistic options in order to provide a greater array of treatment choices for his patients. Dr. Branch and the staff at Northside Animal Hospital were a clear fit from the beginning, and have been working as a close-nit health care team ever since 2007. He is a USDA Accredited Veterinarian. He is well well-versed in large and small animal medicine; his passion lies most in client education with special interests in surgery. He takes great pride in caring for animals from pediatric through geriatric stages. When not at work he enjoys fishing, golfing and spending time with his wife and kids and their two furry dogs, Copper and Gracie.